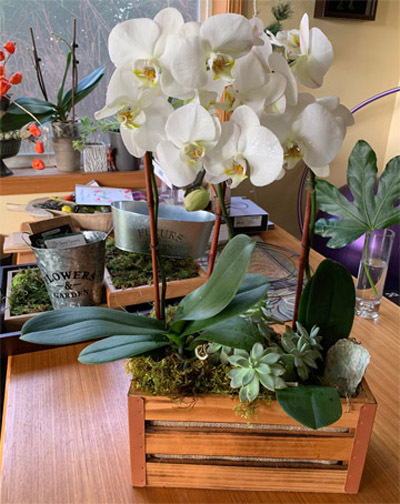 Phaeonapis Orchids and Succulent Planter. We have the most amazing Moss in the Pacific Northwest, in all shades of green from emerald to lime. The Pacific Mist features Orchid plants and Succulent plants with emerald moss accents. Measures 20″ high and 14″ wide.